Champions deserve a cup that tells a story. 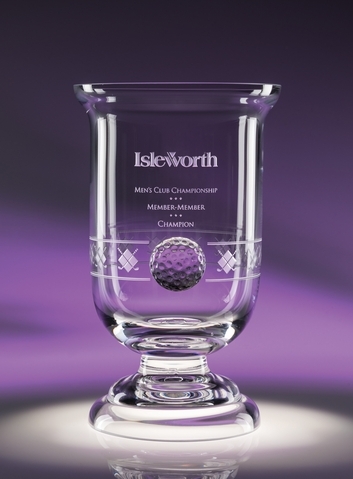 Our Narrative Cup does just that with its sparkling quality, raised golf ball and etched golf motif encircling the cup. A hand-blown beauty.